It's been 7 weeks since Caleb came into our family. He is growing and doing great! 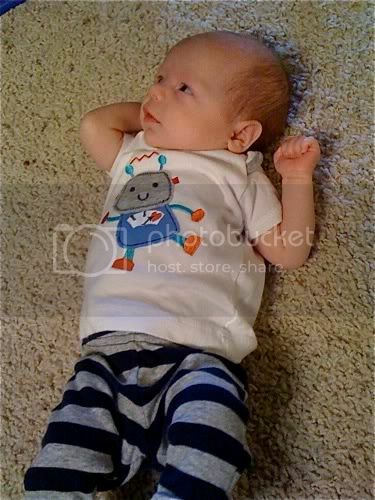 He weighs around 7 pounds now and is about 22 inches long. I had my 6 week check up yesterday, and everything was great. I'm doing so much better emotionally and mentally. I'll be on my medication for at least six more months, and then we'll assess it with my doctor at that point. I don't mind; just as long as I'm feeling better...and I am. I'm finally truly feeling like myself again, and it's so nice. 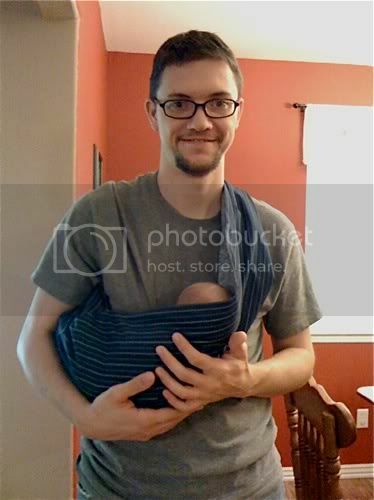 My mother-in-law made me a sling for Caleb, and I love it! 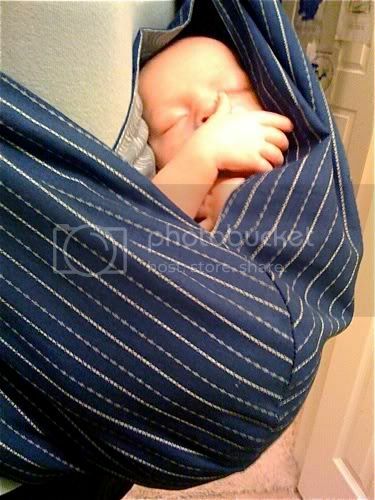 I got to try it out yesterday at the mall, and nearly every person we met grinned while gazing at Caleb snuggled inside. He's an attention-getter!